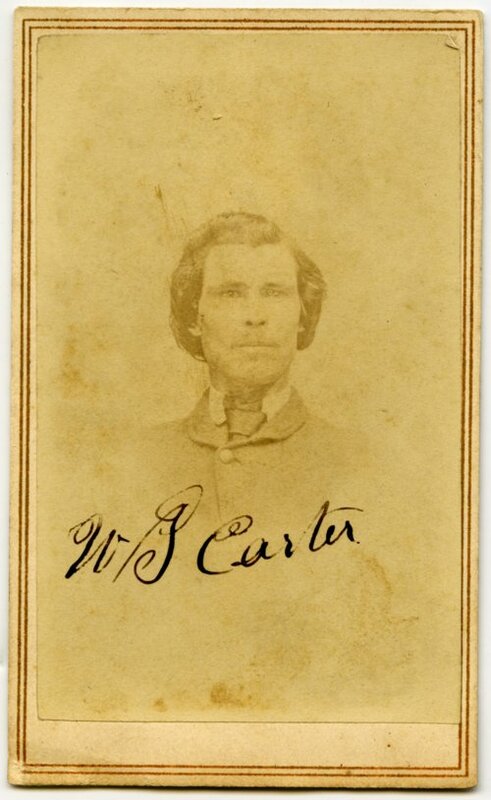 This is a carte de visite of Sergeant William J. Carter from Moline, Illinois, who served in Company I of the 8th Kansas Volunteer Infantry. The carte de visite was originally in an album belonging to Lt. Charles H. Slawson, who served in Company I of the 8th Kansas Volunteer Infantry. The photographer was L. I. Prince in New Orleans, Louisiana.